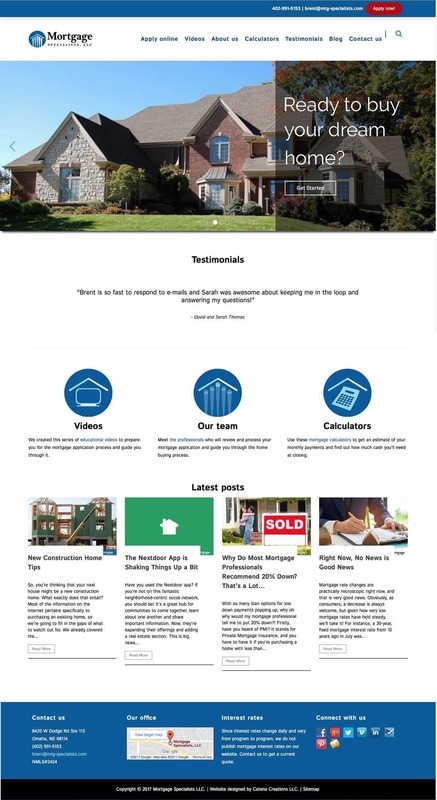 For Mortgage Specialists LLC, Catena Creations updated the WordPress template and plugins to ensure they were up-to-date and secure. We worked with the company’s online mortgage application system to incorporate it into the website and keep customers onsite when they apply. We installed plugins that automatically incorporate reviews from Google, Facebook and Yelp as they’re posted. We also implemented several search engine optimization enhancements.